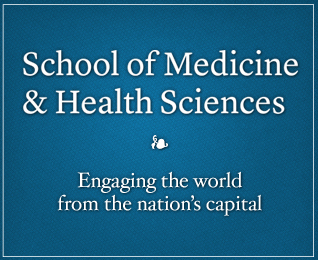 The George Washington University School of Medicine and Health Sciences is pleased to announce the First Annual Health Care Quality Lecture. SMHS is honored to welcome Carolyn Clancy, M.D., Director (retired), Agency for Healthcare Research and Quality (AHRQ), U.S. Department of Health and Human Services, as the inaugural keynote speaker for this important event. Based on her experiences as the Director of the Agency for Healthcare Research and Quality, Dr. Clancy will share her perspective on the future of health care. Due to limited seating, we are at capacity for the event, however Dr. Clancy’s lecture will be available via live webcast. To watch the live webcast from a mobile device, please download the app. Please note you will need the latest version of Flash installed on your computer. You can download it here. For any inquiries, contact Erina Moriarty at emoriart@gwu.edu, 202-994-0437.